Anilox manufacturers Sandon Global are jubilant after collecting Gold yet again at the prestigious EFIA Awards this month. 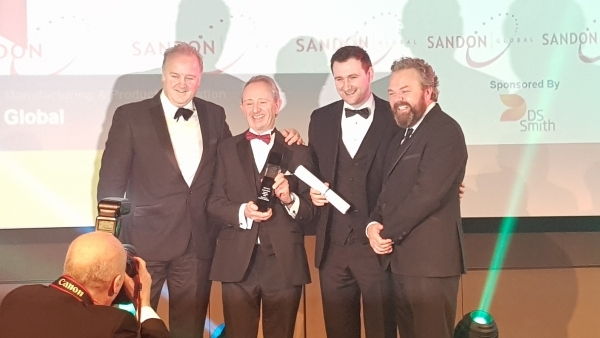 Testament indeed, but the celebrations did not stop there as Sandon Global watched several of their UK and International customers collect awards for print. Richard Millington said. “We are overjoyed with tonights result, plus witnessing our customers collect awards for quality print categories is the icing on the cake!” Indeed it was a long list of winners including both the Gold & Bronze Best in Show.